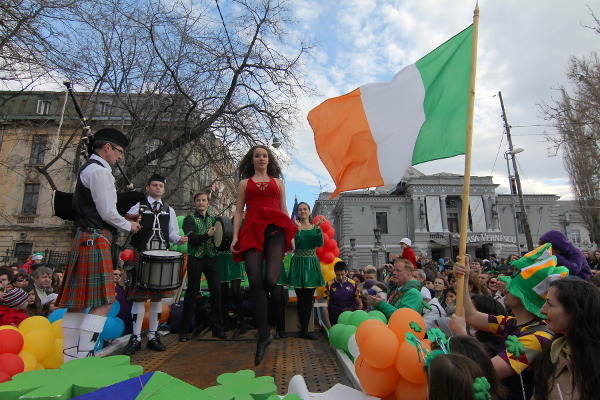 There are not many Irish people in Bucharest as there are neither many Irish business in the country, but the city is packed with Irish pubs, so no wonder the St. Patrick Day, the national day of Ireland, started to be celebrated here too with a parade. And at such a parade, the traditional Irish dance is a must. 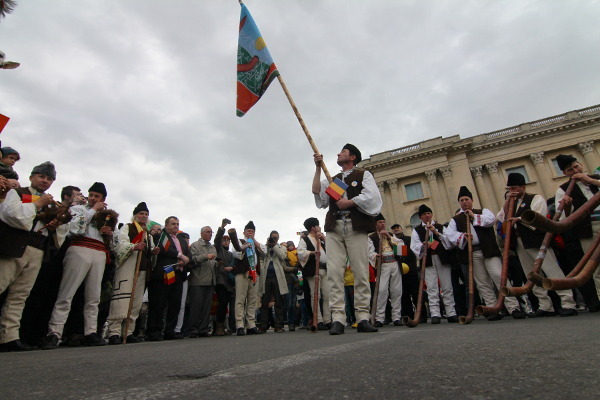 However, the parade in Bucharest has its own twist: there are also groups performing traditional Romanian music, maybe some dance and such. I guess the beer is international and nobody would pass a celebration involving large quantities of beer.